Last Wednesday (July 25, 2012), finally I met Dian Pelangi (again! ♥) for the second time. The first time I met her was in December 1, 2011 (I still remember it!). 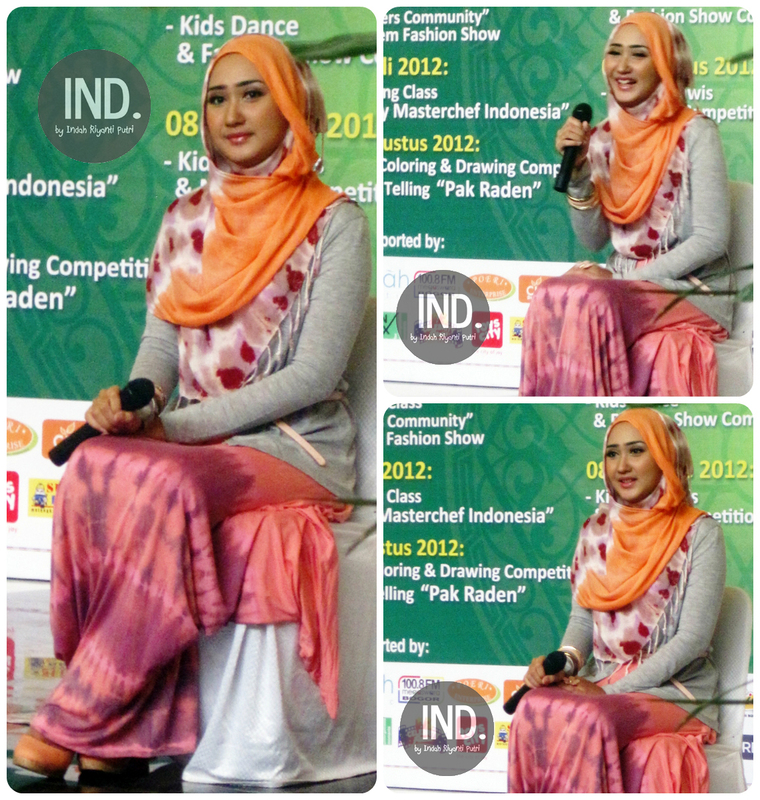 Dian Pelangi has come to Bogor for a mini talk show as the brand ambassador of Wardah (halal cosmetics from Indonesia). I find out about this event a few days before from her twitter (@dianpelangi). And of course I was very excited to come to that event. After that mini talk show, Dian off the stage and immediately surrounded by many Hijabers who wanted to take a picture with her (and of course I was one of them). Waiting, waiting, and waiting .. Because there are so many Hijabers Bogor that wanted to take a picture with Dian Pelangi! Suddenly the committee asked Dian to move to the bigger place in order to take pictures freely with others. When Dian walked to the bigger place, I walked toward her, say hello, and said: "Dian.. I've got something for you .."
(then giving a gift for her). 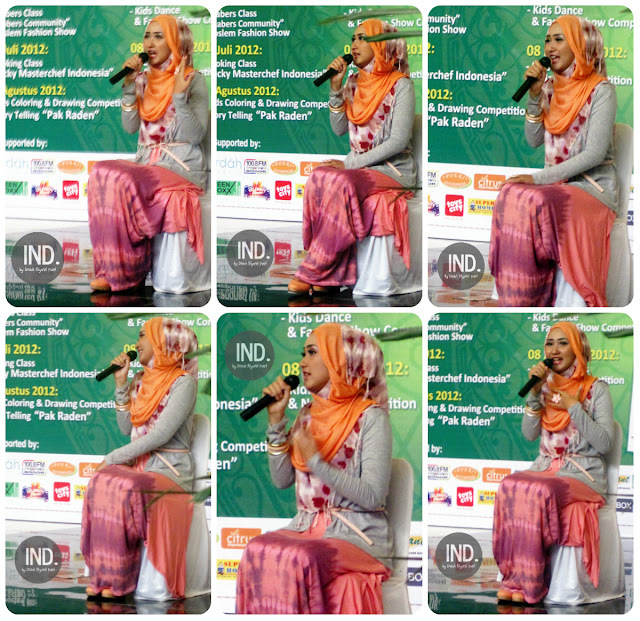 Dian was immediately smile and replied: "Thank you.. Hey, you are who have twitter username @indahrp, right? I often read you mention.. Finally I can see you too.."
I was very touched and happy! Later, Dian held my hand and asked me to walk with her.. Then didn't forget to take some pictures with her.. Thank you Dian for remembering and recognizing me..
See you soon, next time insya Allah!